Looking for a pair of beach-friendly shoes that can go in the sand and get a little wet? 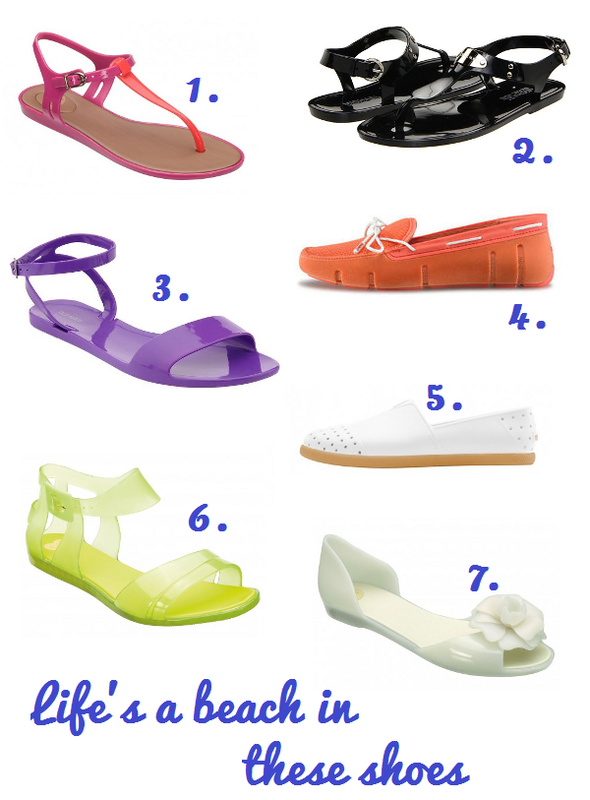 Flip-flops would work, but if you crave something more stylish, jelly or plastic shoes might be a better alternative. Yes, they're kind of like the ones you used to wear when you were little. But the grown-up versions mimic the sleek styling of street shoes, which means you can wear them with a swimsuit and denim cutoffs on the beach, or with a colourful maxi dress and cat-eye shades on a patio. Other pluses: these shoes are washable, come in a variety of fun styles, and are available at lots of price points. Win-win.